Of utmost importance in our office is the compliance of strict disease and infection control rules and regulations as spelled out in the Dental Practice Act, issued by the California Department of Consumer Affairs’ Dental Board. 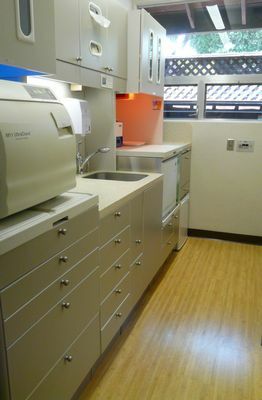 This includes regular, documented training of all staff and sterilization monitoring. We take great pride in keeping our newly remodeled office immaculate, organized, hygienic, and sterilized wherever possible. For many years, and at regular intervals, we have voluntarily contracted the services of one of the most highly regarded Dental Compliance and Safety experts in California, Tom Terry. He has extensive experience as a field inspector, investigator, healthcare consultant and learning strategist. He has spoken extensively in dental association meetings and seminars. We take the extra time and effort to get your dentistry completed comfortably, (all treatment rooms have warm water syringes and rinse bowls,) and properly, which means meeting or exceeding CDA’s Standard of Care. In cases involving more specialized care, we have working relationships with the most outstanding dental specialists in the community. Esthetics in cosmetic dentistry is also a top concern. 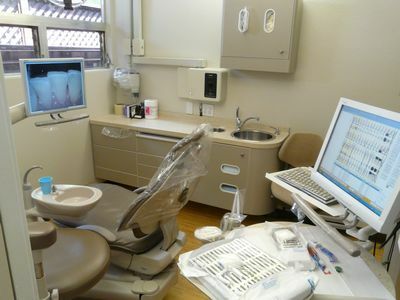 We work with the top dental laboratories in the area. Our experienced and highly trained porcelain lab technician visits you personally at our office for custom color matching and contouring. We have worked with him for over 20 years. We completely remodeled our office several years ago, going completely digital, including digital x-rays, which dramatically reduces radiation exposure to the patient. We also transitioned to electronic records at that time. We are proud to say that we use high technology, not for technology’s sake, which could add to patient costs, but in a useful and efficient manner with maximum benefits to the patient. We handle all insurance filing for you, and our patients have 24/7 emergency coverage. New patients, children and adults, are always welcome.